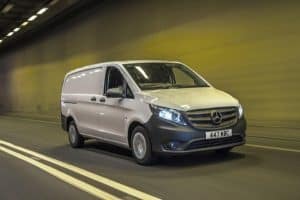 A range of issues in the haulage sector including driver shortages and mental health concerns have been highlighted in the 2018-19 Van Excellence report, which has just been published. One key finding of this year’s report is that a shortage of drivers could hold back expansion in the freight transport sector. Van Excellence is a scheme run by the Freight Transport Association (FTA) and the body’s head of vans and light commercial vehicles Mark Cartwright noted that the van market has been growing “consistently” since the end of the 2008-09 recession, with the “versatility and flexibility” it has demonstrated helping progress. However, he added: “While there are many opportunities for further growth – such as booming online delivery services – there are also challenges ahead which all members of the vans sector should be aware of and prepare for, most notably, the increasing shortage of van drivers. As in so many other areas of the economy, Brexit is having an impact, as a large number of people from the EU either decide now is the time to leave, or cancel plans to move to Britain. Mr Cartwright observed that this is definitely having an impact on the van industry as uncertainty over worker rights is causing fewer EU citizens to take up or stay in jobs in the sector. This is borne out by the survey’s statistics, showing that in 2017 only 7.3 per cent of van drivers were from the EU, compared with 12.9 per cent in 2015. A potential Brexit-related shortage of drivers was not the only problem identified in the report. Another was mental health, with many drivers suffering from problems. To make matters worse, more than half of those interviewed for the study said they did not feel they could openly discuss mental health issues at work, prompting Mr Cartwright to outline Van Excellence’s commitment to dealing with the problem. This includes a joint initiative with the Campaign Against Living Miserably to advise drivers about the support available to them.